Radioecology is a highly multidisciplinary scientific discipline situated at the crossroads between environmental radioactivity, whether natural or man-made, and its consequences on both, man and the environment. It deals with radioactivity as a stressor requiring risk assessment, but also as a tracer of biogeochemical and ecological processes. 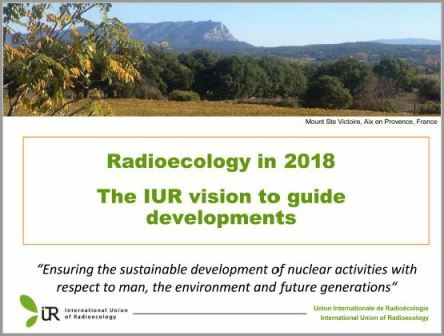 With nearly 1000 registered members from 58 countries currently, IUR represents an authoritative source of information on all aspects of radioecology. Journal of Environmental Radioactivity is affiliated to IUR. IUR promotes wide partnership through co-signing Memoranda of Understanding with relevant networks and international organizations. International Scientific Conference "Radiobiology: Contemporary Issues"